MAKKIMAKKI'S REBRANDING FOR A HERITAGE HOTEL TO BECOME A MODERN, VIBRANT AND YOUTHFUL 4-STAR HOSPITALITY BRAND TO TARGET THE YOUNG AT HEART AND LIFESTYLE ORIENTED BUSINESS PEOPLE. Located in Kemang, Jakarta, the heritage Kemang Hotel transforms and repositions its brand to target the young at heart and lifestyle oriented business people, expatriates and those who are already familiar with the old brand. 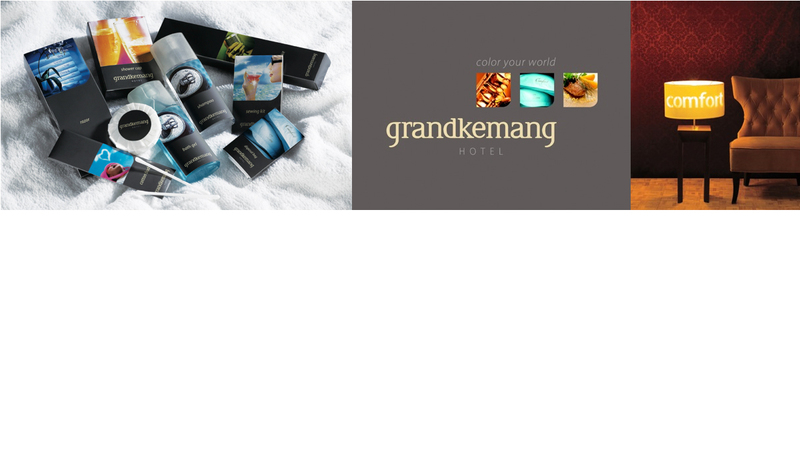 The new 4-stars GrandKemang Hotel expresses modern, vibrant and youthful brand identity with distinctive “color your world” brandline that promises lively and memorable hospitality brand experiences.